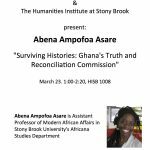 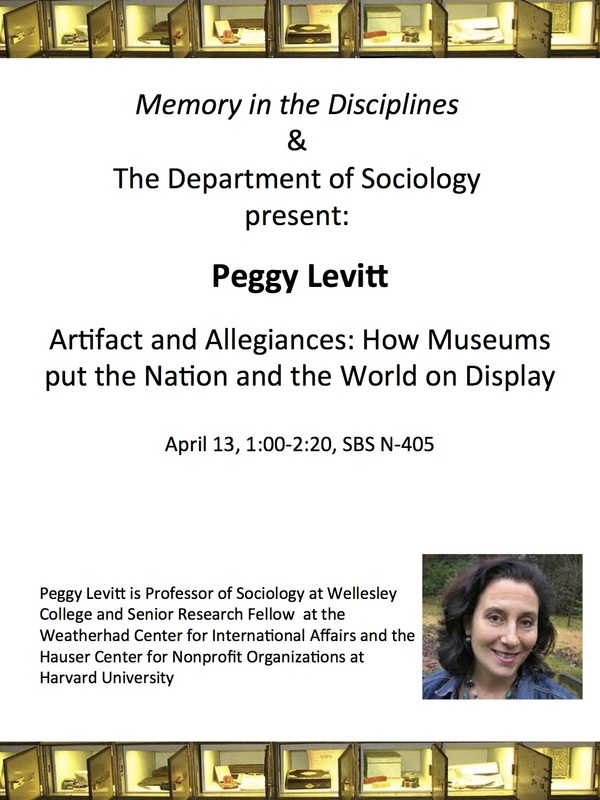 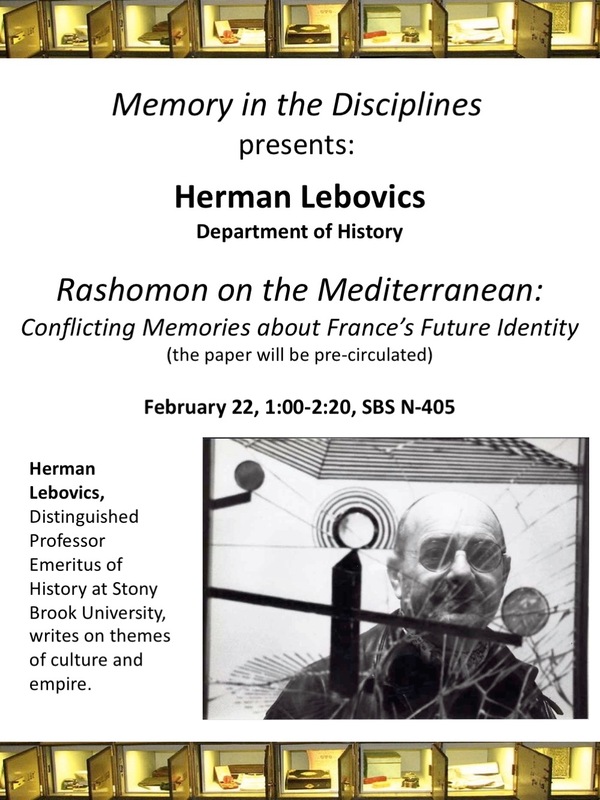 Herman Lebovics, Department of History, Stony Brook. 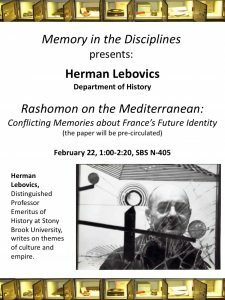 “Rashomon on the Mediterranean: Conflicting Memories about France’s Future Identity.” Thursday, February 22, 1:00-2:20, SBS N-405. 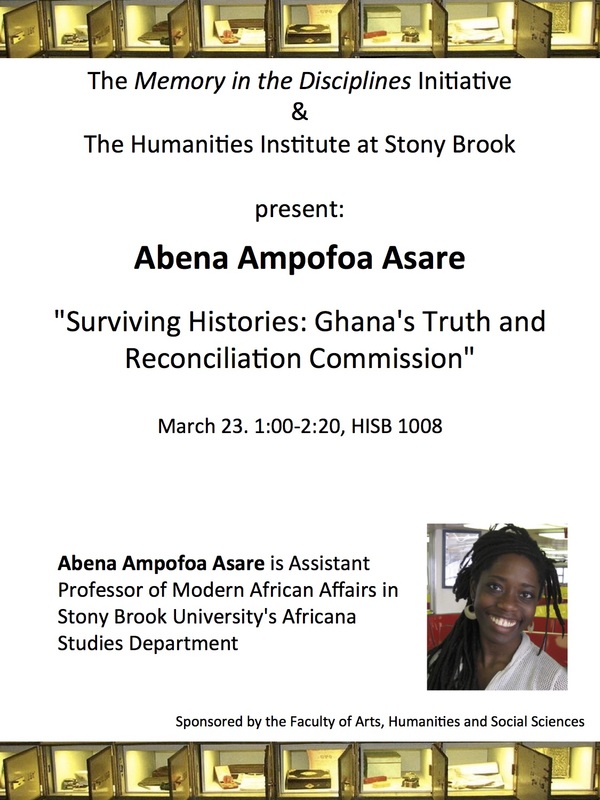 Paper will be pre-circulated for discussion. 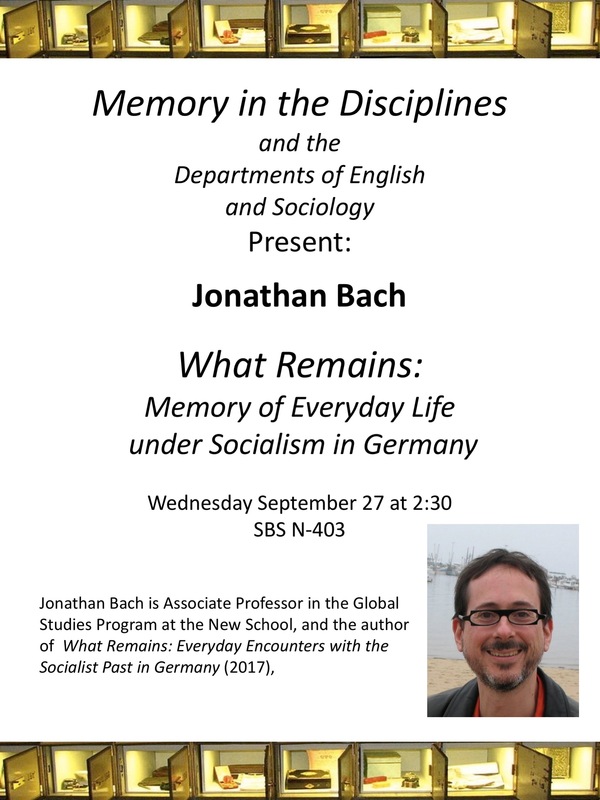 Jonathan Bach, The New School. 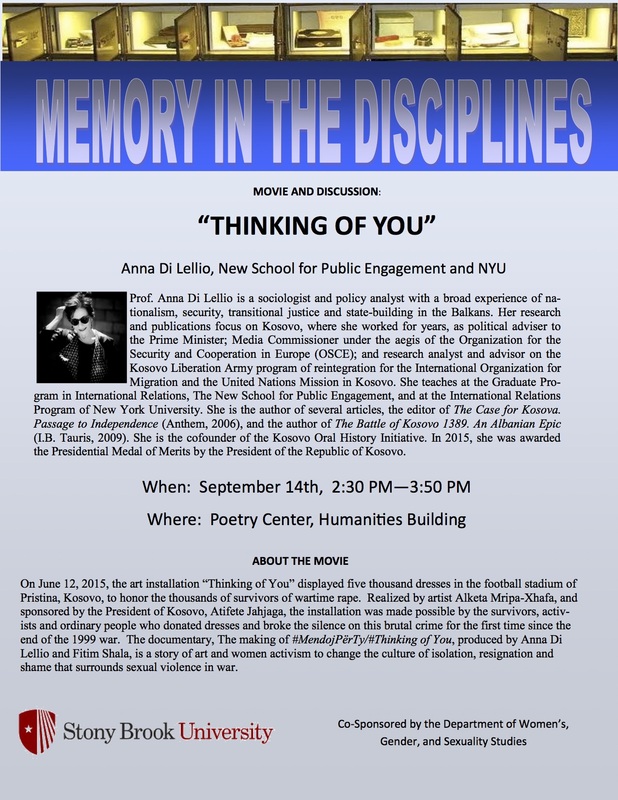 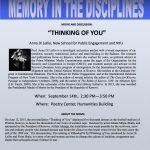 “What Remains: Memory of Everyday Life under Socialism in Germany.” Wednesday, September 27. 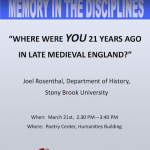 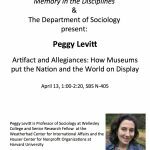 Joel Rosenthal, Department of History, Stony Brook University. 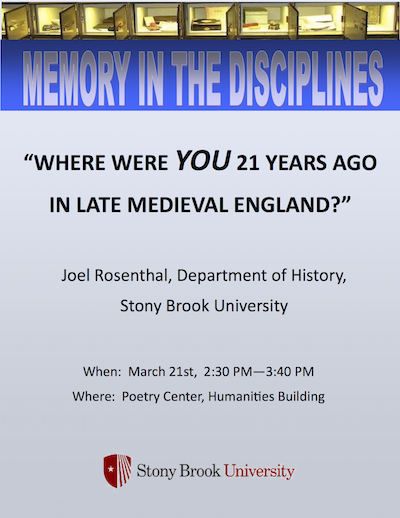 “Where were You 21 Years Ago in Late Medieval England?” March 21, 2017.